Gather up some friends to take on the best of what Aura Kingdom has to offer! Aeria Games, a leading global publisher of free-to-play online games, has released more details on what players can expect for endgame content in the highly anticipated massively multiplayer online role-playing game (MMORPG), set to begin Founder’s Beta on December 16th. 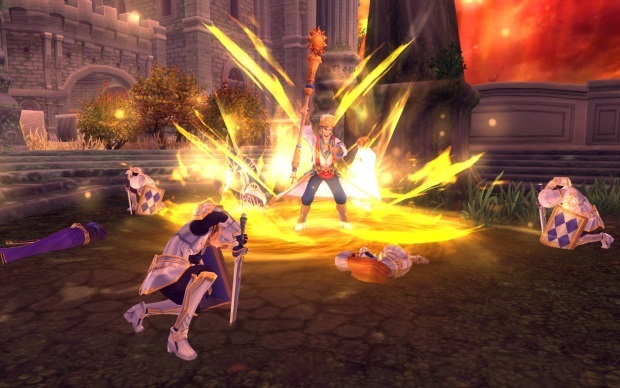 One of players’ primary motivations throughout Aura Kingdom will be adding to their ever-increasing collection of the battle companions known as Eidolons. While several Eidolons are granted at certain level milestones, the rarest and most powerful will require dedicated groups of adventurers to track down together. Bosses in high-level dungeons will have chances to drop rare key fragments, which will unlock access to new Eidolons once players have collected enough. 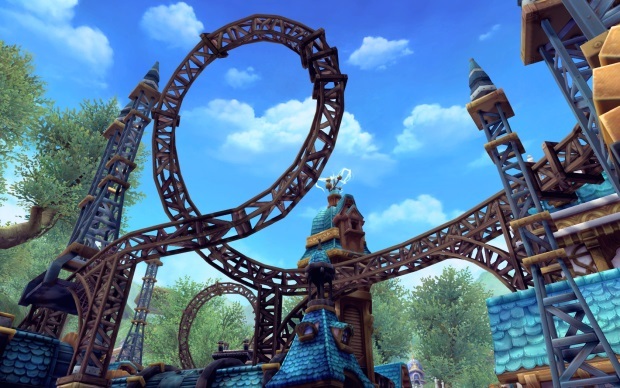 Players are also encouraged to foster their communities with guild towns. Established guilds that have advanced to a high rank will have the opportunity to create these towns which only their guild members can visit. In addition to all the helpful services and NPCs an ambitious adventurer needs, guild towns can also spawn unique Eidolons that require a group of guild members to defeat. Much like dungeon bosses, these Eidolons have a chance to drop key fragments that can eventually enable a player to summon them as their own. For those in search of a different kind of challenge, high-level players can engage in organized, 5v5 player vs. player (PvP) matches. Groups will be able to queue up for these Arena matches throughout the day, facing an opposing team in a deathmatch battle. In addition, players can also queue up for Battlefield matches at particular times each day. Battlefields are also 5v5, but feature a capture point-style game mode over vastly different terrain. Blizzard knew how much people wanted to be part of the Overwatch story and came up with an ARG. Wargaming has announced that Japanese Imperial Air Service warplanes will be added to World of Warplanes.